Play Powerball and Mega Millions from your iPhone. Mido Lotto works with official state-licensed lottery retailers as a courier service and technology partner for state lottery games. Mido will buy Powerball or other lottery tickets, digitize them, track your numbers, and secure your Lotto winnings. 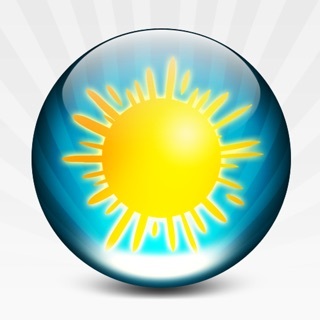 PLAY LOTTERY - Play Mega Millions, Powerball and Super Lotto safely from your iPhone. GIFT TICKETS – Share and gift tickets with friends. PLAY IN GROUPS - Increase your fun and chances of winning by playing and buying tickets in groups with friends and family. PLAY SAFE - Mido Lotto keeps your lottery tickets, payment credentials and winnings secure. No more lost tickets. GET NOTIFIED - You automatically get notified when your tickets are ready to check. CHECK TICKETS - Mido's check ticket features scans your purchased tickets to show matches and winnings. You initiate this process when you are ready - we simply tell you that you have tickets ready to check. Good luck!! • Users must be above 18 years of age to order a ticket. • To buy tickets, a user must be located within the state of California or outside the USA. Mido Lotto uses geo location services to verify a user’s location before enabling the ability to buy to be in compliance with all state and federal laws. • A Mido users can gift tickets to anyone in the the US or the world. • Results are checked in real-time and users winnings are automatically applied to their Mido Lotto account. • All purchases are made through registered and licensed state agents within the state of California. New presentation of tickets for faster and more secure ticket checking. New payment features and messaging. Who would have thought an app to play Powerball would put our office in Sync?! I was invited to play Mido Lotto with a group of co-workers over the past week. The level of bonding, dreaming of what we could do for each other as well as our budding company could never have been foreseen. While we were buying our tickets and planning our steps with our imagined winnings, we closed the book on a chapter that needed to be finished as well as determined new leadership! Would this have happened without our Mido camaraderie? I think not. We didn’t win the Lotto but we won in very meaningful ways! Really well done. Been an occasional lottery player for a while and this takes the hassle out of it. Payment has been nice and safe so that’s something I haven’t felt worried about since playing via the app. Needed help getting set up though and they got me rolling pretty quickly so that was good to see! It’s also a fun thing to gift people. “Have an awesome day, thanks for all you do - good luck!”has been a cool work morale booster gift too :-). Tried it and it caught on so it’s something I’ll keep at. The app is rock solid and well worth it. Good stuff! Love this app. If you need lotto tickets ASAP it does the trick. I did a group buy recently for the 1.6b lotto. I had 3 groups going and did a great job keeping us together and displaying real-time progress. The app can have a few minor bugs in the end use behavior but nothing that prevented us from getting the lotto tickets ASAP. I recommend the app and you can trust it with your money.